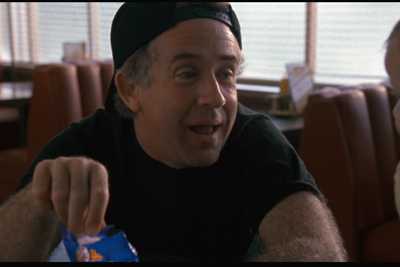 There isn't a lot of casting news reported on alumni from Jason Goes To Hell, so when we heard about Leslie Jordan (the husband of diner owner Joey B.and dad to Ward in the film) being cast in the newest season of American Horror Story, it had to be mentioned. From a report posted on The Hollywood Reporter and re-iterated by Bloody Disgusting, Leslie broke the news of his casting himself on his Facebook page recently. Read below for the full details. Any of our readers fans of American Horror Story on F/X? "BIG NEWS: On September 5, 2013 in New Orleans I join the storied cast of AMERICAN HORROR STORY. I have always loved Mr. Murphy's work and am so honored," he wrote in a lengthy post in which he acknowledged the cast -- including Jessica Lange, Kathy Bates and Angela Bassett. American Horror Story: Coven tells the secret history of witches and witchcraft in America. More than 300 years have passed since the turbulent days of the Salem witch trials, and those who managed to escape are now facing extinction. Mysterious attacks have been escalating against their kind, and young girls are being sent away to a special school in New Orleans to learn how to protect themselves. Wrapped up in the turmoil is new arrival, Zoe (Taissa Farmiga), who is harboring a terrifying secret of her own. Alarmed by the recent aggression, Fiona (Lange), the long-absent Supreme, sweeps back into town, determined to protect the Coven and hell-bent on decimating anyone who gets in her way.